Mustangkayla, please contact rustypickleblog@gmail.com with your mailing address so we can get your prize in the mail to you! Thanks so much for participating. 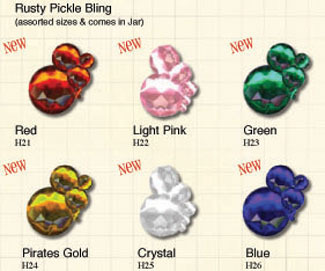 Due to the excessive amount of giveaways (boy, do we love to share our love for Rusty Pickle! ), we wanted to post a list to confirm the winners once more. In order to claim your prize, you will need to email us at: rustypickleblog@gmail.com. If you have not done so, please email us so we can get your goodies sent out to you. If you have already emailed us AND got a reply that we received your address, you don't need to do anything else but wait for your prize to arrive! Thanks again to those of you who entered and congratulations to the winners! We can't say it enough how grateful we are to all of you scrappers who continuously visit our blog, participate in our Challenges and giveaways, purchase our products and lovingly create art out of them! We are humbled by your support and would like to THANK YOU for the million and one ways you inspire us every day. For those of you that are new to the blog, we hope you'll stick around to see the fun happenings we have in store for you every month (as well as some exciting new additions)! We'd also encourage you to subscribe to our monthly newsletter (email newsletter@rustypickle.com) for even more great Rusty Pickle updates and ideas! We've had a fun week and wish we could have given everyone a bit of Pickle love.. guess you'll just have to join us for our next giveaway! Now for the winners of our Summer CHA Giveaway Extravaganza! They are.. These lucky scrappers will each receive..
Congratulations, ladies! Please email us with your mailing address so that we can send you your prizes! Thank you again to everyone who played along this week- until next time, happy scrapping! P.S. Don't forget that Lance has a blog, too, and is holding his very own giveaway! Be sure to tell him we said hello! A millionth THANK YOU to everyone who stopped by this week to visit our blog and play for a chance at a wonderful CHA prize! We have a few winners from yesterday's giveaway and then we'd like to announce the FINAL prize we have to give away to mark the end of our week-long CHA extravaganza! You'll definitely want to cross your fingers for this prize! Now for the FINAL prize in our giveaway! TWO lucky winners will each receive..
PLUS a Chocolate Covered Cherries t-shirt (size XL)! To enter, just leave a comment within this post and we will choose the two winners at random sometime tomorrow! Please note that the shirt is ONLY AVAILABLE IN A SIZE XL due to the fact that they are printed in VERY limited quantity and usually only go out to Rusty Pickle employees who work at CHA shows! Thank you and good luck! Thanks again for continuing to play along with us this week for your chance at a wonderful Rusty Pickle CHA prize! If you haven't won yet, don't worry, there are many more chances to win! First, let's get to the winner of yesterday's prize before we announce the new prize up for grabs! Now for the latest prize in our giveaway! 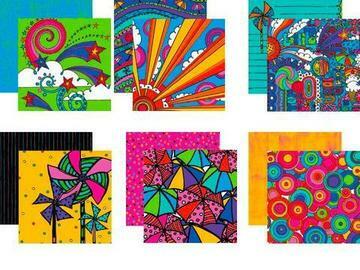 In honor of our latest CANDY LAND line..
THREE LUCKY WINNERS will each receive a Candy Land t-shirt (size XL) and one of our NEW shaped chipboard albums! To enter, just leave a comment within this post and we will choose the winners at random sometime tomorrow! Please note that this shirt is ONLY AVAILABLE IN A SIZE EXTRA-LARGE due to the fact that they are printed in VERY limited quantity and usually only go out to Rusty Pickle employees who work at CHA shows! The chipboard album you receive will be left up to the discretion of RP and limited to the stock on hand, though we promise you will love any one of our albums! Thank you and good luck! THE FINE PRINT: Winners will need to email rustypickleblog@gmail.com in order to confirm their prize as well as submit their mailing address. In the past, we have asked entrants to wait until shipments arrive to our warehouse before they were sent out to winners. However, due to your feedback, we have decided to only offer giveaways this week that are already at the warehouse- which means that these items will be available to ship as soon as we return back from CHA. Therefore, winners should allow for approximately 4 weeks for their prizes to arrive (International winners may need to allow for longer shipping time). We thank you for your patience. If you have any questions, please do not hesitate to contact us via the blog's email address. Thanks again for continuing to play along with us this week for your chance at a wonderful Rusty Pickle CHA prize! If you haven't won yet, don't worry, there are many more chances to win! First, let's get to the winner of yesterday's prize before we announce the new prize up for grabs for THREE picklelicious scrappers! Congratulations, Shauna! Please email us with your mailing address so that we can get your goodies out to you! Now for the latest prize in our giveaway! 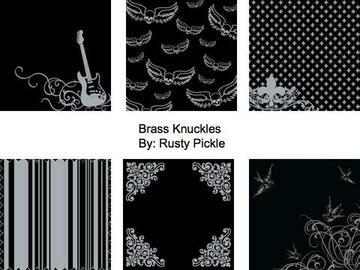 In honor of our latest BRASS KNUCKLES line..
THREE LUCKY WINNERS will each receive a Brass Knuckles t-shirt (size XL) and one of our NEW shaped chipboard albums! Thanks again for continuing to play along with us this week for your chance at a wonderful CHA prize! If you haven't won yet, don't worry, there are many more chances to win! First, let's get to the winner of yesterday's prize before we announce the new prize up for grabs! Congratulations, Debra! Please email us with your mailing address so that we can get your goodies out to you! Now for the latest prize in our giveaway! One lucky winner will receive..
A WHITE CHRISTMAS t-shirt (size large) & your choice of a CANDY LAND or COSTUME PARTY paper pack! To enter, just leave a comment within this post and we will choose a winner at random sometime tomorrow! Please note that this shirt is ONLY AVAILABLE IN A SIZE LARGE due to the fact that they are printed in VERY limited quantity and usually only go out to Rusty Pickle employees who work at CHA shows! Thank you and good luck! Thank you to those of you who played along today for the kickoff of the week-long CHA Summer Giveaway here on the Rusty Pickle Blog! Remember, there will be LOTS of chances to win this week so keep trying! Let's get to the winner of yesterday's prize before we announce the new prize up for grabs! SWEEEET rusty pickles, but I adore this collection. I've been salivating since I first saw it! WTG RP on such cool new releases this go 'round! Congratulations, Leah! Please email us with your mailing address and choice of shirt size (M, L or XL) so that we can get your goodies out to you! 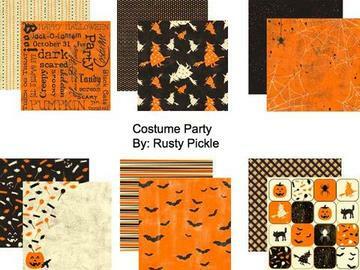 A COSTUME PARTY paper pack & limited edition COSTUME PARTY t-shirt! Please note that this shirt is ONLY AVAILABLE IN A SIZE LARGE due to the fact that they are printed in VERY limited quantity and usually only go out to Rusty Pickle employees who work at CHA shows! To enter, just leave a comment within this post and we will choose a winner at random sometime tomorrow! Thank you and good luck!